The Amalfi Center Chair without arms is a key ingredient to the Amalfi Collection. 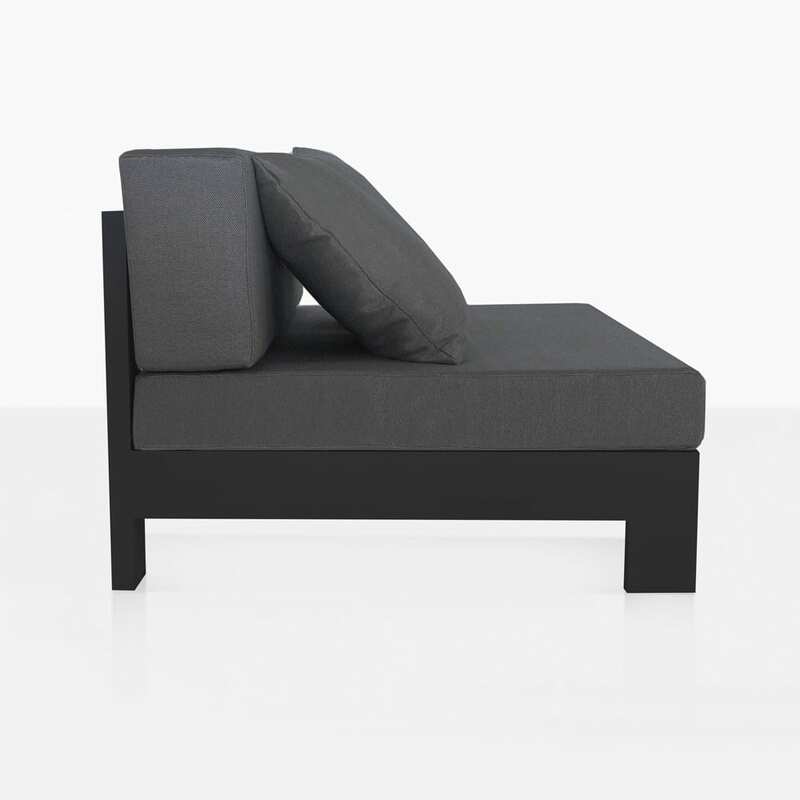 It can be used on its own as a modern, airy and bench like seat. 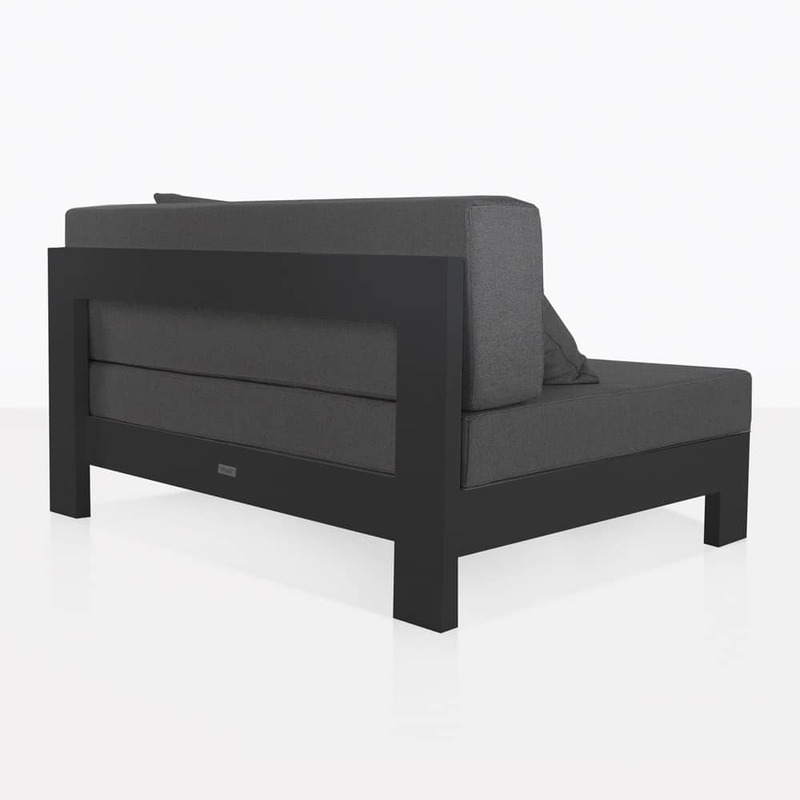 Or it can be combined with the other units to create an L shaped sofa, a C shaped sofa or a long and linear sofa. 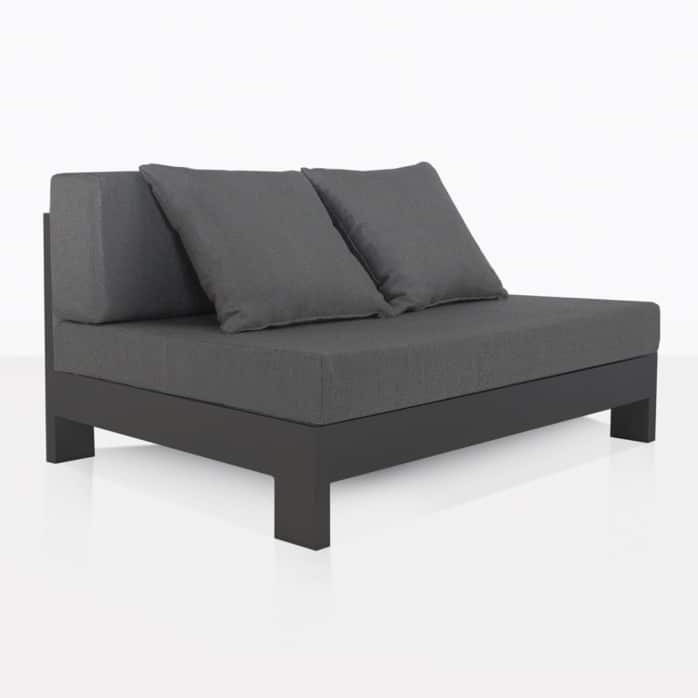 The pieces are sold separately so that you can create a grand outdoor seating area, or go minimal with just a few pieces. There are so many options! 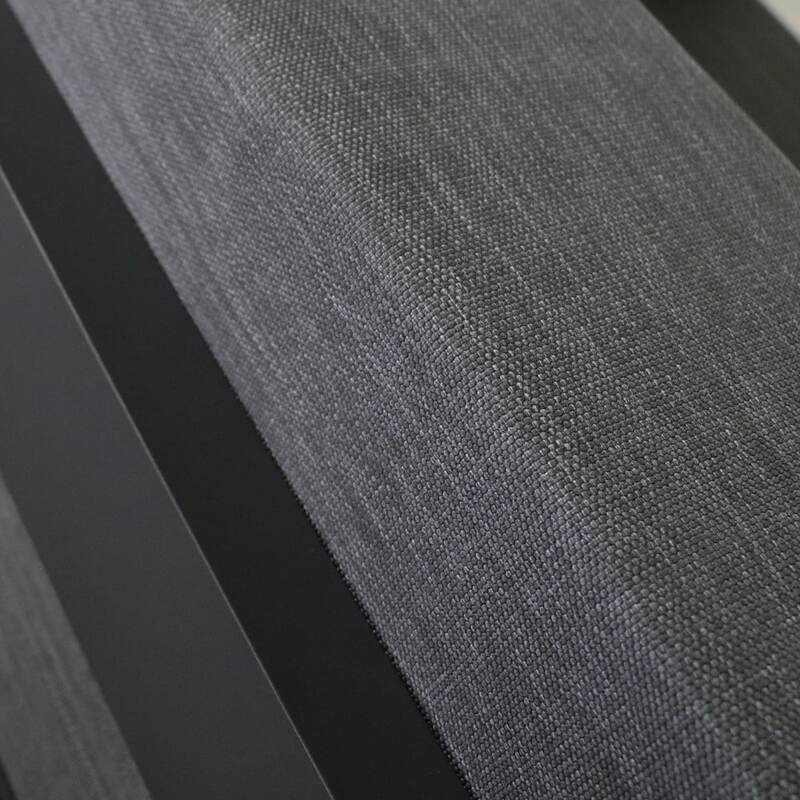 The Center Chair in a dark charcoal grey is sophisticated and sharp. 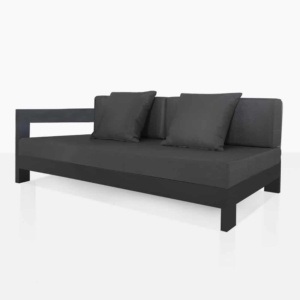 It comes with beautifully tailored cushions and arrives fully assembled and ready to enjoy immediately. 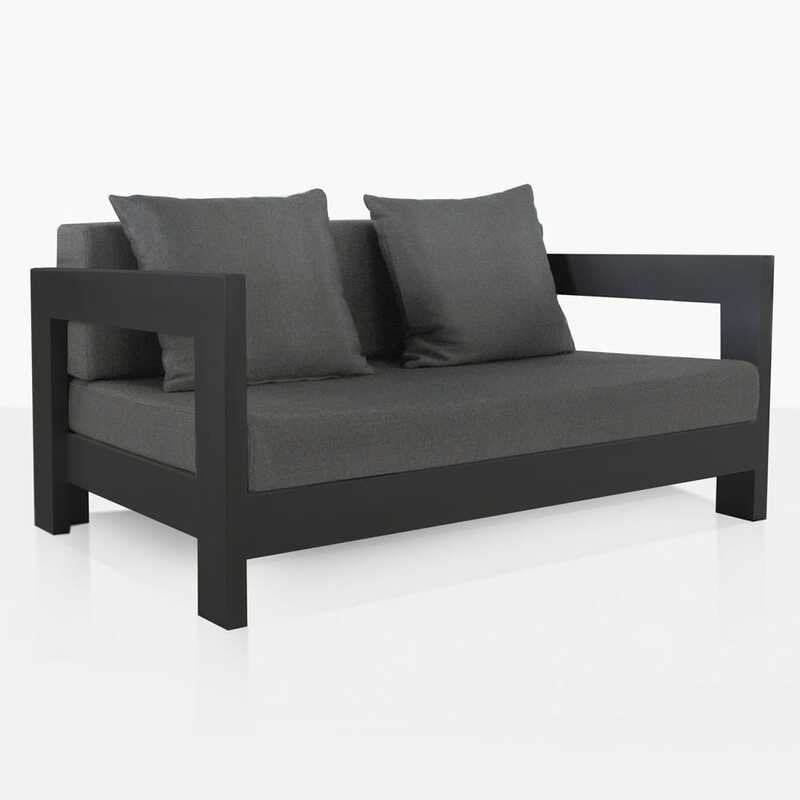 The Amalfi Collection features a sleek powder-coated aluminum frame that is strong and lean, yet substantial. The frame is designed to look elegant from all sides. 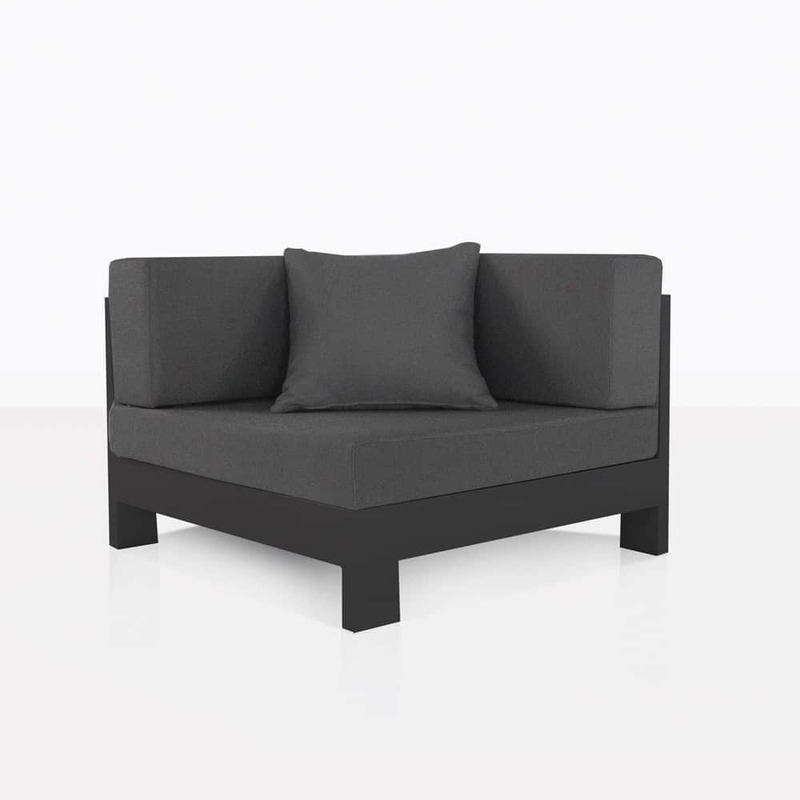 The seat is low and wide and perfect for outdoor relaxing or socializing. 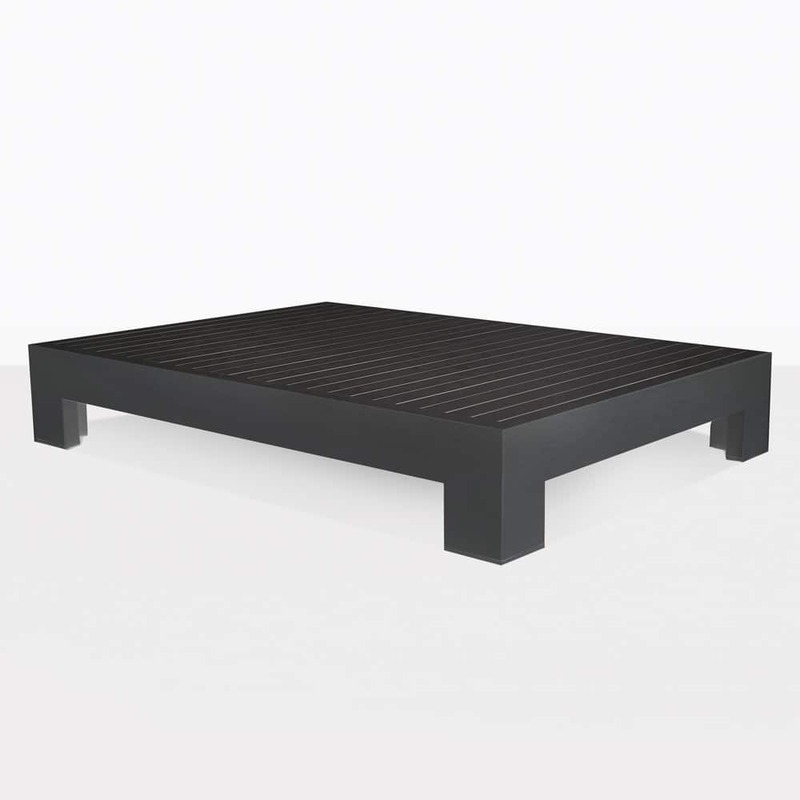 It is topped with high quality outdoor cushions that are firm but also very comfortable. 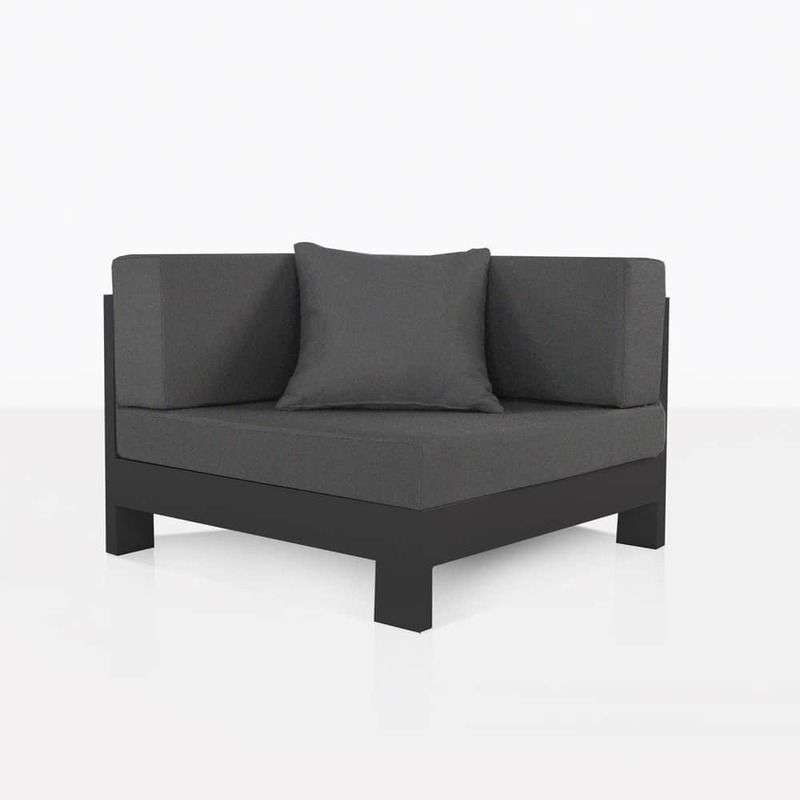 You can choose to place the center chair next to the corner chairs for a 4 seated sofa. 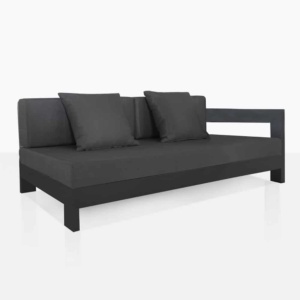 Or join the left and right daybed for a long luxurious sofa. There are so many options and we can help you create the best seating arrangement for your space. Visit, call or email us today!